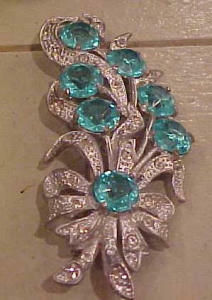 Rhinestone and pot metal flower pin. The clear rhinestones are glass and the blue stones are plastic. 1 1/2" X 4".